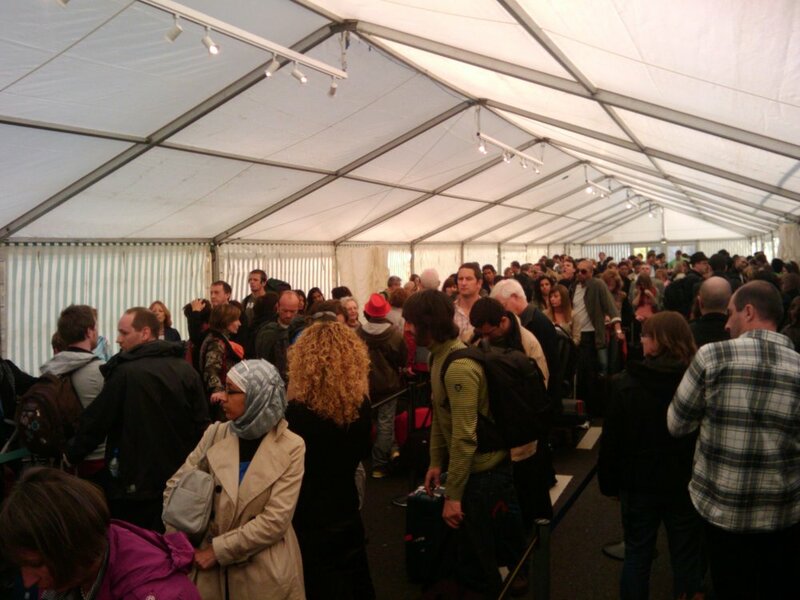 Apparently, besides the fact that the flights have been disrupted by the volcanic ashes, now I am told that EasyJet has issues with their computer systems, so they set up this massive tent to keep their passangers waiting. Waiting for what? I don’t yet know. Finally, we were asked to go to the check-in desks, and the computers did work. 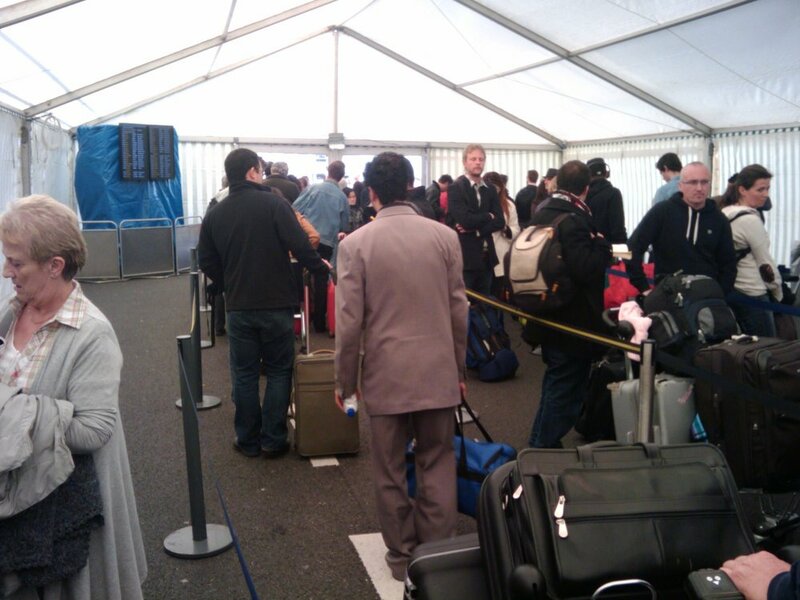 It just seemed a way of avoiding having too many passengers in the check-in lounge together at the same time.